Ever since the Early Church, the Catholic Church has done a great deal for the cause for human dignity, including the promotion of fair treatment even in regards to the practice of just forms of servitude “indentured servitude”. However because of the shortness of time and the content of this paper, I will address the Church’s fight against slavery in the modern sense of the word, namely “chattel slavery.” From (1435- 1890) the Church had been condemning slavery even before the rise of the American abolitionist movement, as well as before the finding of the New World itself. In order to show how it was these papal efforts that helped to end this notion of slavery as soon as it was started, I will be using primary source accounts of popes themselves condemning this very institution of slavery, as well as other secondary accounts which help to give evidence for this. A thing to keep in mind is the significance regarding the date that this papal Bull was written. This Bull was written in 1435, which means that even before the finding of the new world, the Catholic Church had already condemned this new form of slavery as unjust which was just recently practiced in the age of exploration. The three most significant papal documents passed by popes against slavery was by Pope Paul III. All these three papal documents where written in the same year. 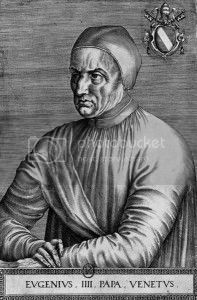 In 1537, just about a hundred years after Eugene IV’s Sicut Dudum, Pope Paul III passed Sublimus Dei, Pastorale Officium, and Altitudo Divini Consilii. These three papal documents showed that the natives of the New World were not subhuman as various individuals erroneously believed, explained that chattel slavery was a new and unjust in all situations, influenced both the Laws of 1542 and the fair treatment of the natives in Mexico, and lastly further applied an excommunication to those who would engage in this slavery. By this it is made clear that just as Pope Eugene IV, Paul III is condemning both the slave trade and slavery itself which arose in the Age of Exploration. He does this by explaining that this is a type of slavery which was unheard of before now. By stating this he is also making it clear that this type of forced servitude is unjust in any situation, for unlike just forms of servitude “indentured servitude,” which people freely consent to, in this new type of forced labor there is no room for this free consent. Pope Paul III is basically proving that the natives are in fact human on the grounds of sound reason and scripture. By quoting Scripture, Paul III is saying that Christ commanded the disciples and those ordained to preach, to do so in all nations and thus to all people. For this reason following scripture with logic, Pope Paul III is letting his audience know that in order for someone (the natives) to understand what someone is preaching about (Christ), that he must then possess the faculties of the intellect and reason. This proves that the natives are then human. Proving that the natives were human was a big challenge to colonists who used the erroneous idea of the sub-humanity of the natives as a basis for slavery. 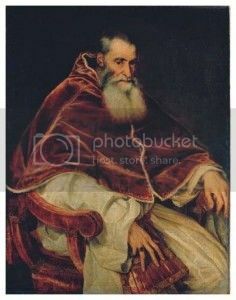 Thus it could be said that the papal efforts of Pope Paul III were some of the most substantial in the condemnation of slavery in the New World, and similarly in the various things which it managed to accomplish. 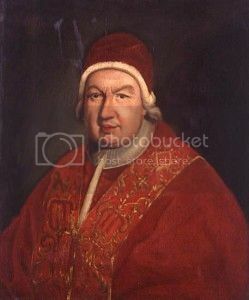 Pope Benedict XIV is after Pope Paul III a great next logical place to oversee in terms of papal efforts against slavery. There were three popes from the time of Pope Paul III to Benedict XVI all of whom wrote and contributed to the efforts against slavery. It is however because of the specific and unique effort of Benedict XVI for which I am explicitly mentioning him. Even after the encyclicals and papal efforts against the slave movement, many Christians were still active in slavery, specifically around Brazil. For this reason Pope Benedict XIV issued the Papal Bull Immensa Pastorum on December 20, 1741. This Bull did two specific things. The first one is simply the fact that it recounted and reinforced the decrees and efforts of his papal predecessors such as Paul III and many others. 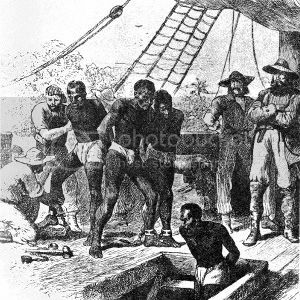 However the most significant thing was that it clearly made known that it was not only the Catholic laity but all members of the Church including the clergy which were to be prohibited from taking part of this slavery. The last pope who perhaps gave the last blow towards this institution of slavery is Pope Leo XIII. 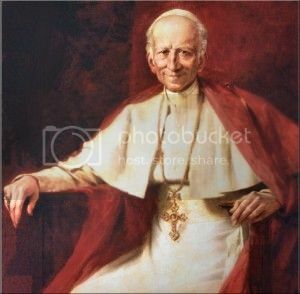 Pope Leo XIII wrote two encyclicals, In Plurimis on May 5, 1888 and Catholicae Ecclesiae on November 20, 1890. One of the particular thing which In Plurimis did, was that it was written as a means of encouraging the Bishops of Brazil to enforce the abolition of slavery which had just recently been passed. Since the pope holds such a strong sphere of influence, it makes sense why his support was crucial for the success of this legislation. These various examples of papal efforts against slavery show that there has been since the beginning a consistency of Church teaching regarding the condemnation of slavery as can be seen by the strict consequences of those who partook in it, as well as by the facts that it was condemned as soon as it was practiced, and similarly by the fact that these efforts against slavery came about before the finding of the New World and before the creation of any abolitionist movement. It could be argued that one of the great factors of these papal condemnations of slavery is given to the large sphere of influence which the pope possess. 6) Rev. Francis Kelley: Blood Drenched Altars, “Chapter V.” Blood-Drenched Altars. Milwaukee, WI: Bruce, pgs. 1935. 62-63. Excellent job, Arturo!! This is a very effective piece. I am really proud of you. I really am. Were kings allowed to excommunicate?